As we move into the fall season now we are beginning to see the smallmouth Bass moving into there fall patterns. Water temps are steadily dropping and that is beginning to put the fish in a fall feeding mood knowing winter is soon to approach and it is time to feed up before it becomes to cold for them to feed up heavily. We have been finding our success fishing water depths ranging from 20 to 35 feet of water depending on the day. 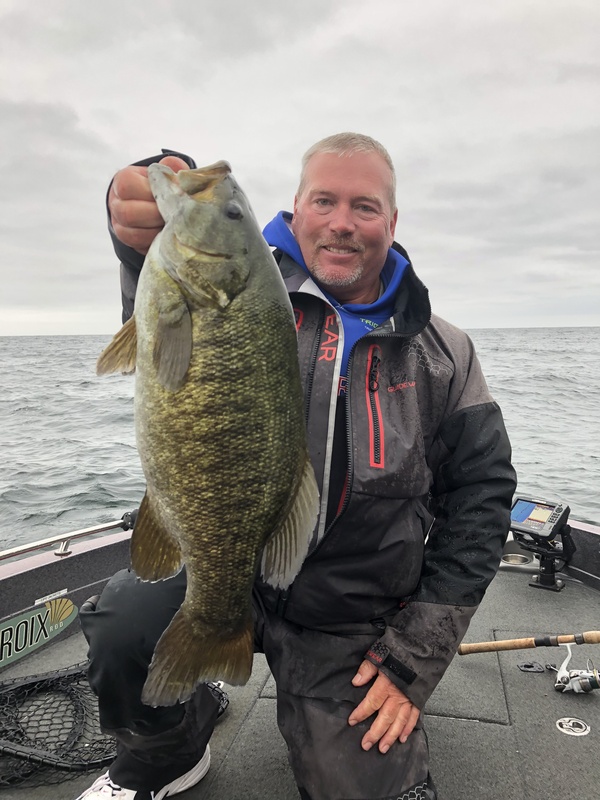 This fishing should only continue to get better as we move further into the fall season with a great chance at catching that trophy fish of a life time.